Gino Vannelli will perform on september 5th 2015 at the Cabaret du Casino in Montreal. 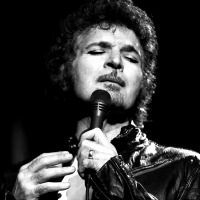 The singer-songwriter Gino Vannelli rose to fame in the 70’s and 80’s. His musc style is somewhere between Jazz and Rock. We are hoping that this world renowned artist will perform his greatest hits like I Just Wanna Stop and Black Cars during his stop in Montreal.